Regardless of the age, the ability to communicate effectively is important. However, for seniors, this learned skill is critical. If seniors can’t successfully describe what they need in a particular situation, they may not get the help they need during an emergency situation. Contrary to children who may have similar communication issues, seniors require immediate medical attention due to their vulnerable and fragile physical condition. Fortunately, seniors are more likely to receive the help they need during medical emergencies when they receive effective speech therapy. 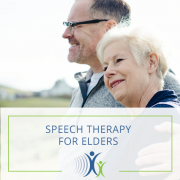 Speech therapy for the elderly can assist seniors with speech issues that are caused by the natural aging process. 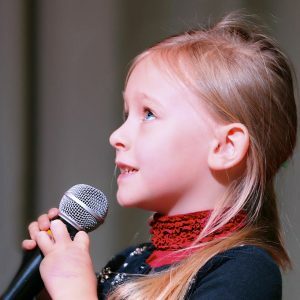 The therapy uses proven vocal exercises that have been shown to help seniors learn to speak and communicate effectively again after suffering from health issues such as stroke, dementia, head injury, and cancer. Despite how damaged one’s auditory system may be, it’s difficult to recognize that a person is hard of hearing by simply looking at them. That’s why hearing loss is considered a common invisible disability, and often times, the condition is greatly misunderstood by others. For example, if you’re hard of hearing and ask people to repeat themselves for the third or fourth time in a row, they’re more likely to be frustrated with you rather than empathetic. 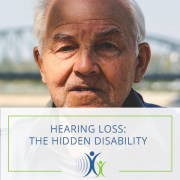 This reaction is likely because if people are unable to physically see your hearing loss, they’re less likely to conceptualize the difficulties you’re experiencing. 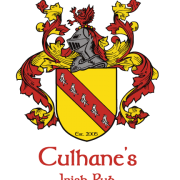 Join us for our 5th Annual Winter FUNraiser on Friday, February 1 at Culhane’s Irish Pub-Atlantic Beach from 5:00-7:30 PM! With a $10 donation, you receive 1 free drink ticket, a free hearing screening, and the chance to win a prize! Karaoke will also be featured. All proceeds benefit JSHC. Also known as a form of dysfluency, stuttering is an interruption in the flow of speech. When children stutter, they’re usually repeating certain phrases, sounds, syllables, and words. 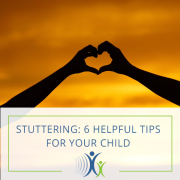 Although it’s normal for children between the ages of two and five to stutter, children who stutter past five years old may need special treatment for this language disorder. Many experts believe that there are four primary factors that cause this condition. Genetics: Approximately 60 percent of people who stutter have a family member who also has this condition than those without. Child Development: Children with other developmental delays and language or dysfluency problems are more susceptible to this condition. Neurophysiology: Most children who stutter process language in a different area of the brain than other children. Because of the different way that the brain processes language, such differences in language processing also affects the muscles that control speech. Family Dynamics: Children who come from a family with a fast-paced lifestyle are also more likely to stutter. Thank You for Making #GivingTuesday 2018 a Success! This year, JSHC raised a record-breaking $14,697 from a record 91 donors! With these funds, our staff will be able to provide 294 speech evaluations and therapy sessions to low-income preschoolers, adding 42 new patients to our programming! 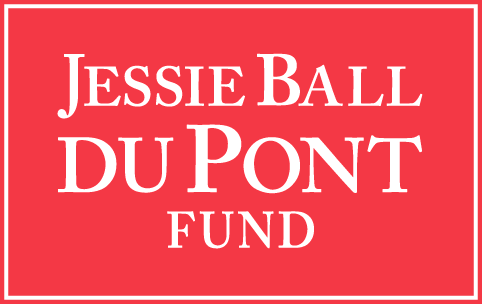 Such success can be attributed to the generosity of our many independent supporters, as well as the deep investment of JSHC staff and Board of Directors, 100 percent of whom participated in the giving campaign. 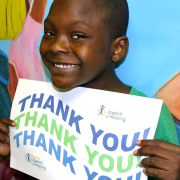 Thank you to all in our community who continue to support us not only on #GivingTuesday, but every day of the year. We’re proud to serve you and call you part of our family! Changing The World One Child At A Time! 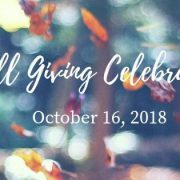 This year on Tuesday, November 27, 2018, the Jacksonville Speech & Hearing Center will participate in #GivingTuesday, a global day dedicated to giving. #GivingTuesday harnesses the capability of social media along with the generosity of individuals around the world to generate true improvement in their communities; offering a stage so that they can encourage the donation of time, resources, and skills to heal local concerns. Additionally it brings together the shared power of an amazing assortment of partners— nonprofits , civic organizations, businesses, corporations, as well as families and individuals—to encourage and amplify small acts of kindness. Join us to celebrate the generous contributions of our FinFest Sponsors and Fund-A-Child donors! The evening will feature a dedication ceremony honoring the leadership and contributions of Amy Ruth, and Myron and Amanda Pincomb. Former Board Chair and longtime supporter Mike Heard will also be honored as our third-ever Director Emeritus. Guests can RSVP to Sheri Taylor at staylor@shcjax.org or by calling (904) 717-6930. Mark your calendars for FinFest 2019! From the time your children are born, the best way to help them learn effective speaking skills is to talk with them all the time. Even when your children are babies, you can still interact with them through the use of smiles, noises, hand claps, and music. Communicating with your children should be easy, but there are still some important things that you should keep in mind. Here are some don’ts when interacting with your children. When you talk to your children, always remember to give them the opportunity to respond. Although your children won’t be responding with fluent sentences, they will be learning that people take turns talking. From a young age, children should be encouraged to respond to you even if it’s just with gurgles, smiles, and hand clapping when they’re babies. Along with talking/answering for your children, you can significantly discourage your kids’ need to speak by anticipating their needs. While you may have good intentions, a better approach to anticipating your children’s needs is to ask them to request the things that they would like. The ultimate goal is to encourage your children to feel comfortable voicing their needs by initiating conversation. 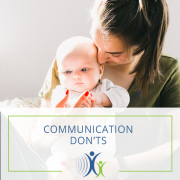 Just like it’s important for your children to learn taking turns in conversation by responding to your questions, it’s also important for you to respond to the gestures and speaking attempts of non-verbal children. When you do this effectively, you’ll create a safe environment for your children to talk more. If your children have difficulty speaking, by all means, don’t ridicule their mistakes. Doing so will only make them self-conscious and less likely to communicate. Be compassionate, and with the help of gestures, you’ll gradually be able to understand what they are saying. Whenever your children begin to speak, you should give them as much time as they need to complete their thoughts. Before responding in a hurry, make sure that your children have enough time to process information, think, and respond. 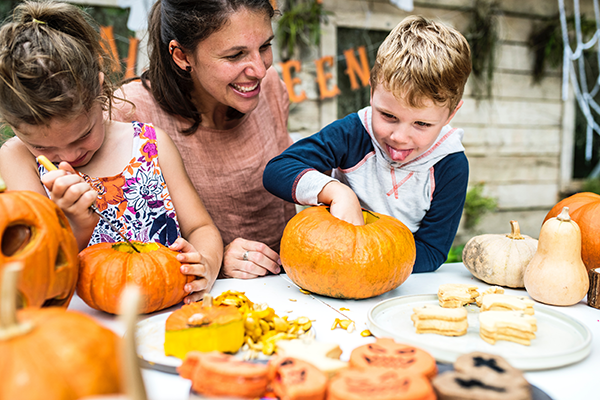 In addition to talking, you can also communicate with your children in other ways like using pictures, demonstrations, and other learned strategies. Always remember the process of talking can be frustrating for the child, too. As your children begin to speak more, be particularly careful about correcting their grammar. Keep in mind that sentence structure isn’t important until your children have reached three word sentences. Make sure that when you talk with your children, you aren’t saying too much too quickly. Speak slowly, keep directions/comments simple, and allow for processing time. Whenever you communicate with your children, it’s a good idea to encourage them to sometimes lead the conversation. Try to be less directive and commanding. As your children grow, you may find yourself using less baby talk. For optimal communication, consider using language models appropriate to your children’s needs and age groups. Most importantly, make sure that you understand the differences between a simplified model and baby talk. During the early developmental stages, communication is more important than polite formalities. At this point in learning how to talk, focus on ensuring that your children can speak in complete sentences before requiring them to add “yes ma’am,” “no ma’am” and “yes sir,” “no sir” in their interactions. Many parents are unaware that academic learning and rote learning skills like the alphabet, numbers, and colors aren’t important for preschool children to communicate needs. Letters and numerals are symbols without purpose until attributed to spoken language or quantity. Children should have encounters that connect these symbols, letter names and sounds to each other before attempting memorization. 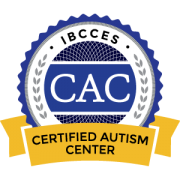 Does your child have problems with speech or hearing? If so, Jacksonville Speech & Hearing Center is here to help! We proudly offer treatments, evaluations, and screenings for a variety of areas. Call us today at 904-355-3403‎ to schedule a consultation! Took my 90 year old mother here for hearing aids. Dr. Cleveland was wonderful with her, very patient and kind. Mom loves the new hearing aids. 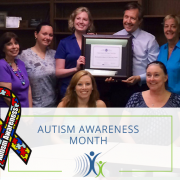 Wonderful people and highly skilled speech therapists. My daughter and son have been going there for over 2 years. Their speech journey has been remarkable. I have been taking my nephew here for around 6 weeks. They are very caring and personal. He speech has improved more than I could of hoped for. They are wonderful! Very looooong wait time!! However the specialists are patient and informative. Not good for kids. Lady rushed us in and pushed 2 buttons then said my son's hearing is great ... Not sufficient test for kids. 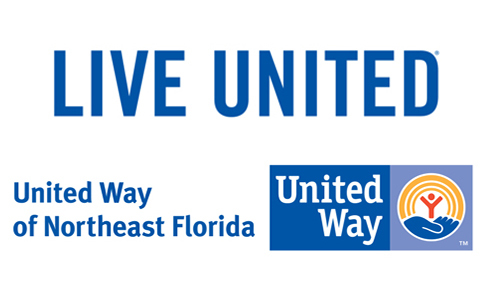 Make a Difference in Someone's Life.Click to Donate Now!